Spanish pensions for expats are a rare commodity. It’s not just a question of the number of available products in the marketplace. It is also one of suitability in terms of the needs of those retired or currently working in Spain. This blog will examine some of the challenges that expats in Spain face when it comes to retirement planning. Let’s consider a common situation of a retired British couple who own a house in Spain. They receive state and company pensions from the UK and have savings and investments which are currently valued at £500,000. The couple have some concern about currency fluctuations as a result of the UK’s decision to leave the EU. This may leave them exposed to downward movements in Sterling. They would also like to limit the impact of stock market volatility on their savings by investing in a low-risk environment. Having spoken with a Spanish tax adviser, the couple have established that they will be regarded by the authorities as tax resident in Spain. They are aware that they will have to pay tax on worldwide assets and income, as they spend more than 183 days of the year in Spain. This is a worry as they have heard from neighbours that levels of Spanish taxation can be quite penal. They are therefore looking for ways to reduce their tax exposure. As things stand, the couple have to declare all their assets via their Modelo 720 (declaration of assets) each year and pay tax accordingly in Spain. Having their saving and investment held in Sterling also poses a problem for them. An appropriate solution would be to move some, or all of these assets into a Euro denominated Spanish Compliant Investment Bond (SCIB). By moving their holdings into a SCIB, there is no requirement to declare under Modelo 720. In addition, tax would only be payable on withdrawals from the investment bond. The tax payable would be administered by the SCIB provider. 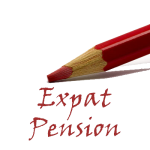 The result is a highly tax-effective vehicle which can be used as a Spanish pension for expats. It allows individuals to generate income and offers a choice of currencies in which to hold assets. A variety of investment funds are available including a range that ‘smooth-out’ market fluctuations by utilising a sophisticated investment process. 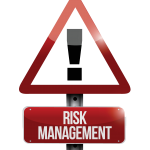 Risk can be tailored according to individual requirements; low, balanced and aggressive versions can be accessed. A second scenario is that of a working expatriate couple who are based in Spain. Becoming Spanish tax resident was a straightforward decision as they own a ‘company’ in Spain. They also have children who attend local schools. The couple have considered investing in UK pensions in the past. However, they have always opted to retain control over their money and reinvest in their Spanish business. As such, their current retirement provision consists of accrued state pension entitlements, and a few small personal pensions. These pensions relate to past employment in the UK. Fortunately, business has been good for the couple. In recent years they have managed to accumulate savings and investments to the sum of £800,000. As they are natural risk-takers, they have a reasonable tolerance to short-term investment market fluctuation. They are seeking to create a flexible, tax-efficient plan with a view to retiring in 10 years time. The aim is for their investments to achieve above inflation returns over time. They may be exposed to sequential risk when it comes to the withdrawal of income on retirement. Sequential risk occurs when an individual takes income from their retirement fund just as the market corrects. The retiree is essentially withdrawing funds as his or her portfolio loses value. As a result, the individual would have less funds that could benefit from positive returns as and when the market recovers. Our couple should consider investing in a SCIB which allows multi-currency and multi-market investment. The SCIB provider must comply with regulations regarding which investment funds can be offered. It is important to note that investment in Unregulated Collective Investment Schemes (UCIS) are not permitted. This does not mean that investment options are limited. There are a range of products available that offer access to a multitude of funds, managed by highly respectable international financial services providers, covering all market sectors and currencies. If the couple need access to cash for their business, or other activities, they can take withdrawals at any time from the bond. Once again, the SCIB becomes a tax efficient investment in that if no withdrawals are made, no tax is payable. In order to manage sequential risk the couple would retain a cash balance in the SCIB. They could hold cash in a variety of currencies, which would help reduce foreign currency risk. Should a collapse in the market occur before they intended to take retirement income, they could simply withdraw money from their cash balance. This would mean that they don’t have to sell investments at a bad time. Upon retirement, the couple would reconsider their risk profile. At this stage, they may seek to put greater emphasis on the protection of their wealth. To achieve this, they would adopt a lower-risk investment strategy. The objective is to create a sustainable retirement income inside the most income tax effective structure available. These are just two examples of how Spanish pensions for expats can be structured. The first step is to sit down with a suitably experienced financial adviser to discuss your exact personal situation and requirements. The aim is to create a robust personal plan that can cope with all eventualities.